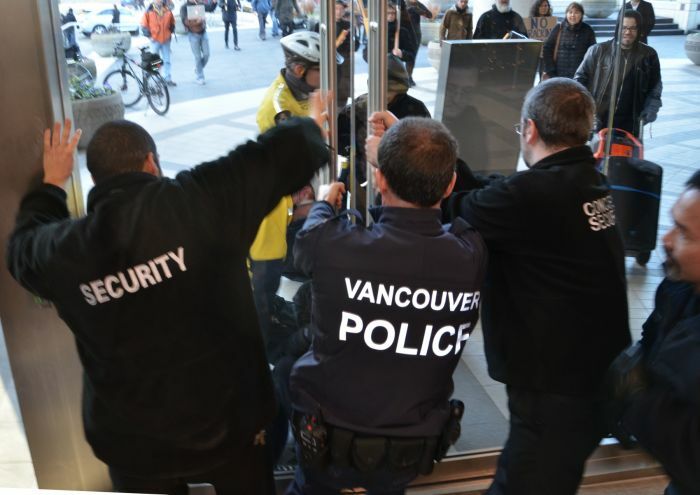 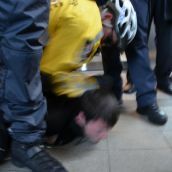 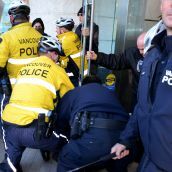 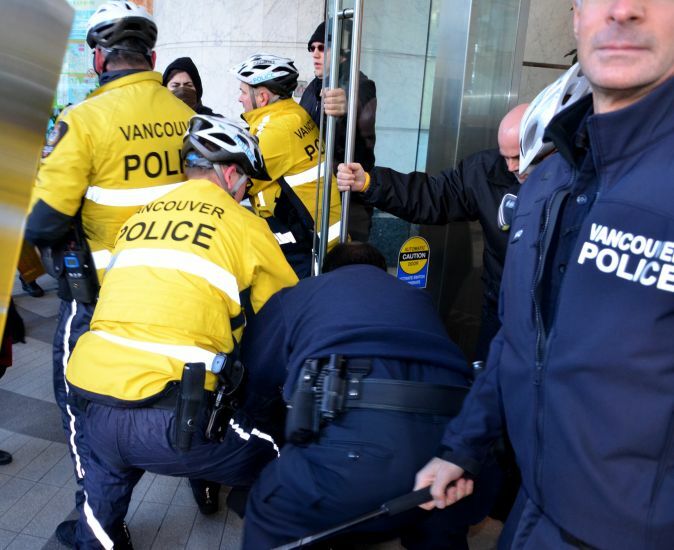 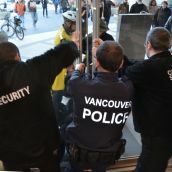 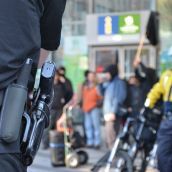 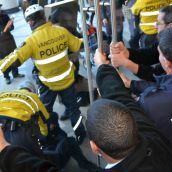 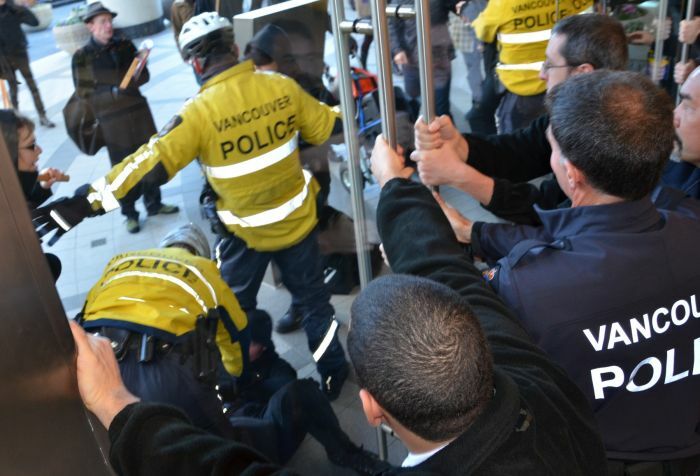 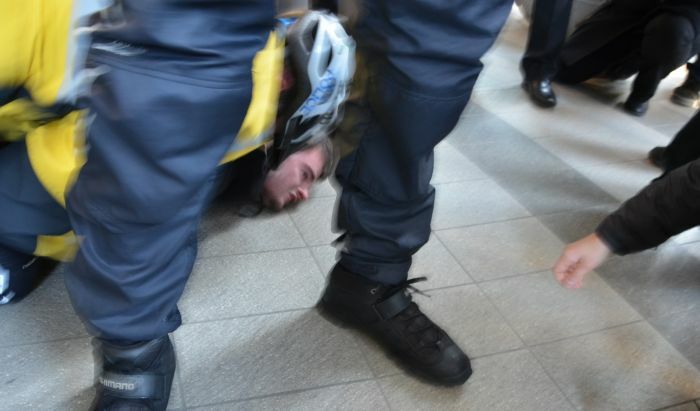 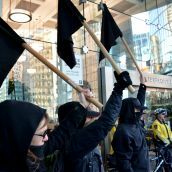 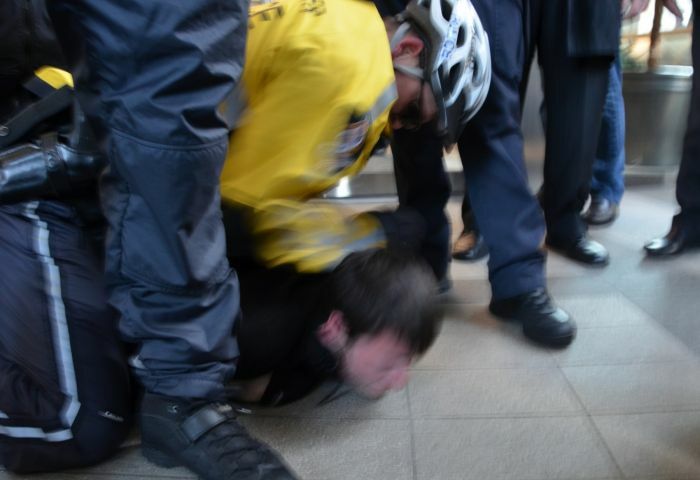 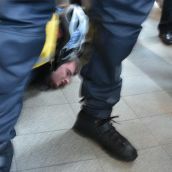 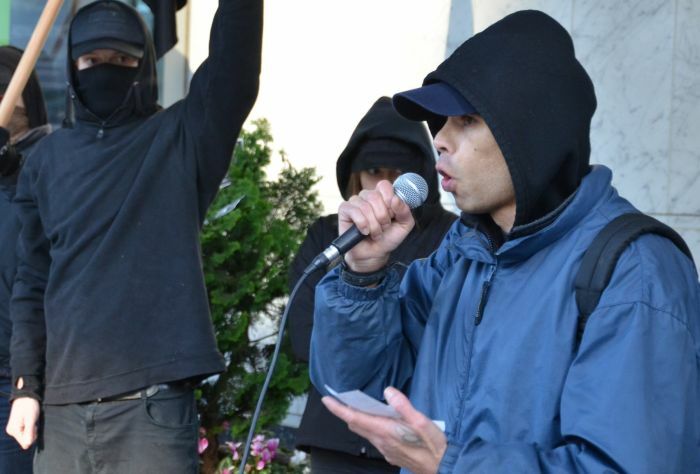 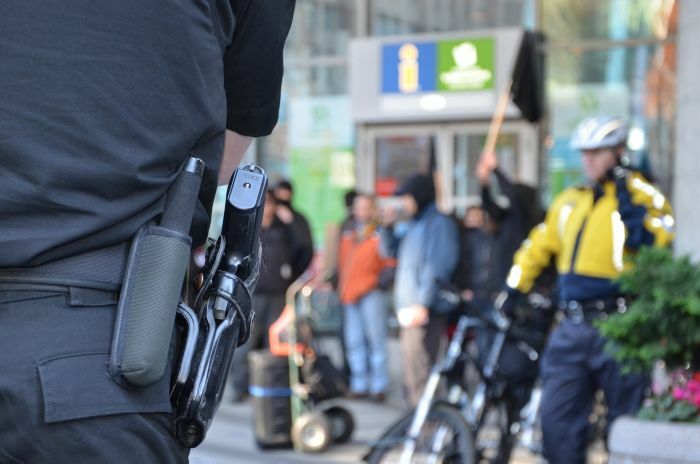 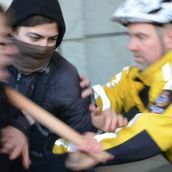 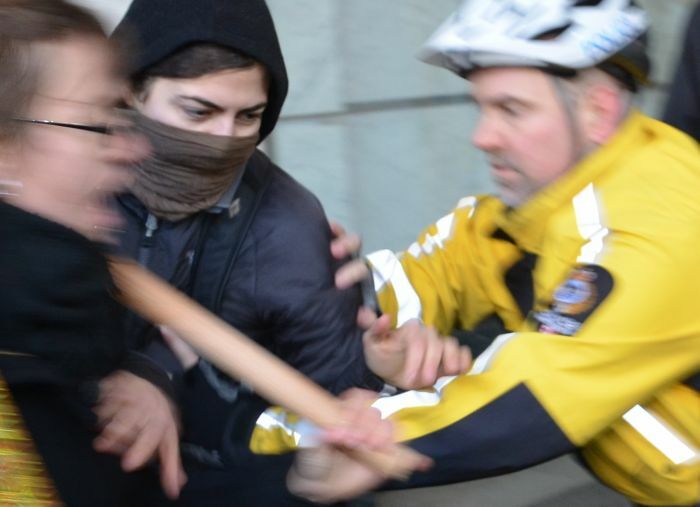 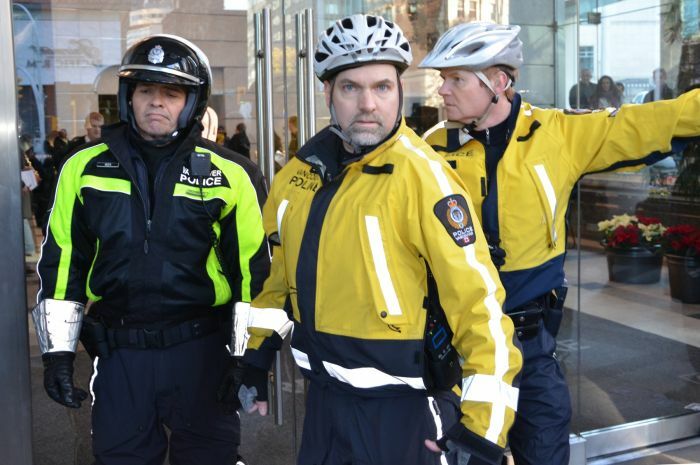 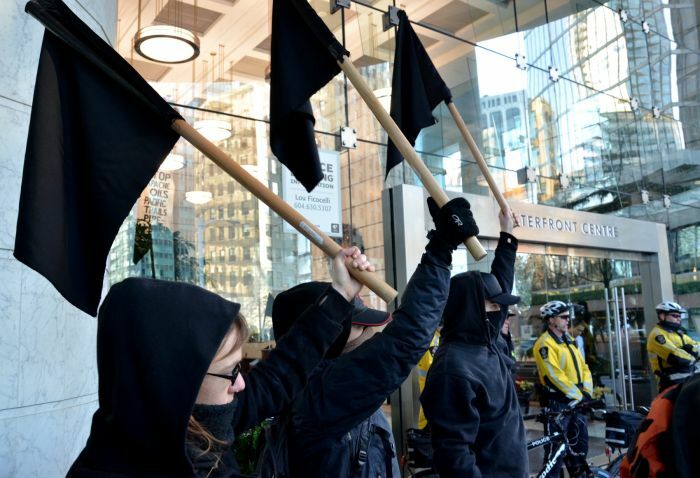 VANCOUVER - Police attacked environmental activists outside the offices of Apache Pipeline in downtown Vancouver today. 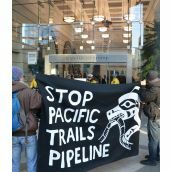 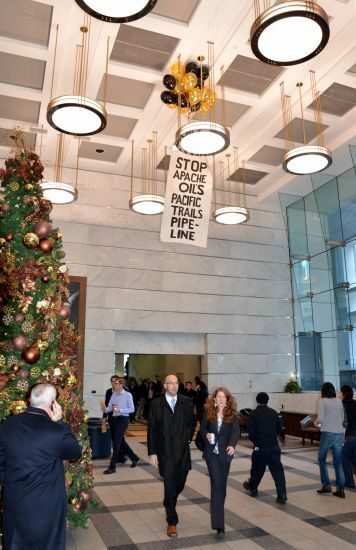 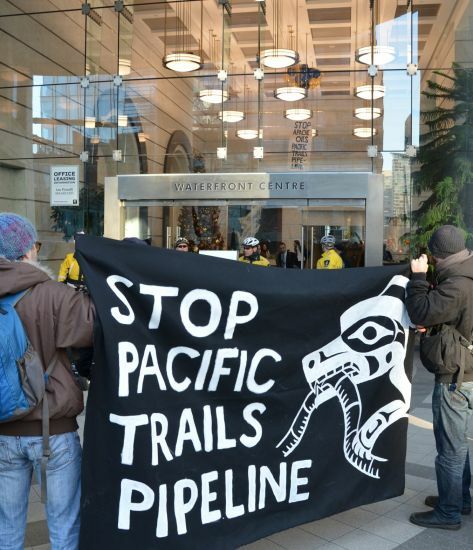 People peacefully protesting Apache's stake in the proposed Pacific Trails pipeline at a midday rally were punched, shoved and kicked as Vancouver police locked down the office tower. 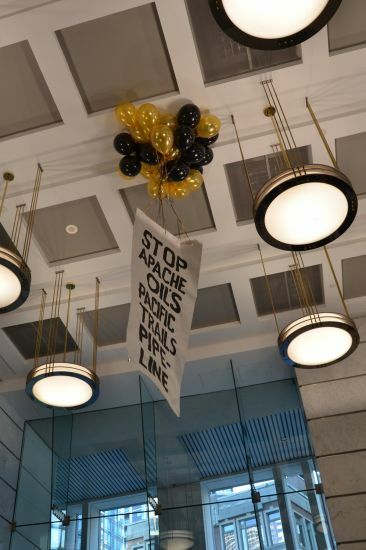 Before the doors were barred, activists launched a balloon-powered banner reading "Stop Apache Oil's Pacific Trail Pipeline." 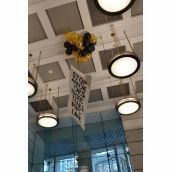 The banner floated gently to the ceiling of the tower's lobby and stayed there. 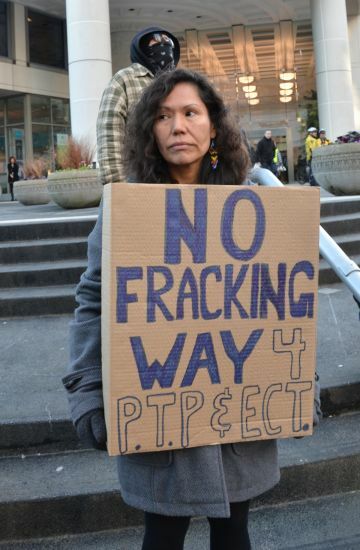 Outside, Gitxsan Melana Bazil told the crowd "natural laws must be respected - we must reconnect with our hearts." 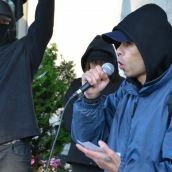 Reading a statement from her brother, activist Mel Bazil, Melana said " we will not stop, we will not give up, we will not bend - we are in this for the long haul." 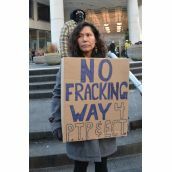 The proposed pipeline would carry "fracked" natural gas 500 km from Northeastern BC and Alberta to the Pacific Coast near Kitimat for loading into tankers. 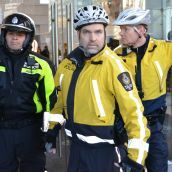 Both the federal and provincial governments have already approved the project, but it still needs the official go-ahead from the National Energy Board.